Are You Taking Evening Primrose Oil? You Should Be. One of my 2018 resolutions has been to take more supplements and vitamins to keep me nice and healthy. I’ve been incorporating a daily multi-vitamin, which I’ll share in another post, but I’ve also been adding in Evening Primrose Oil pills daily too. Did you know, that evening primrose oil also helps with hormone and bone health? I didn’t until recently! I had no idea that, when taken regularly, evening primrose oil can help manage PMS symptoms thanks to the omega-6 fatty acids. EPR helps us stay strong because it improves and maintains bone mineral density. Yet another added bonus, taking evening primrose oil daily can also help your heart health! 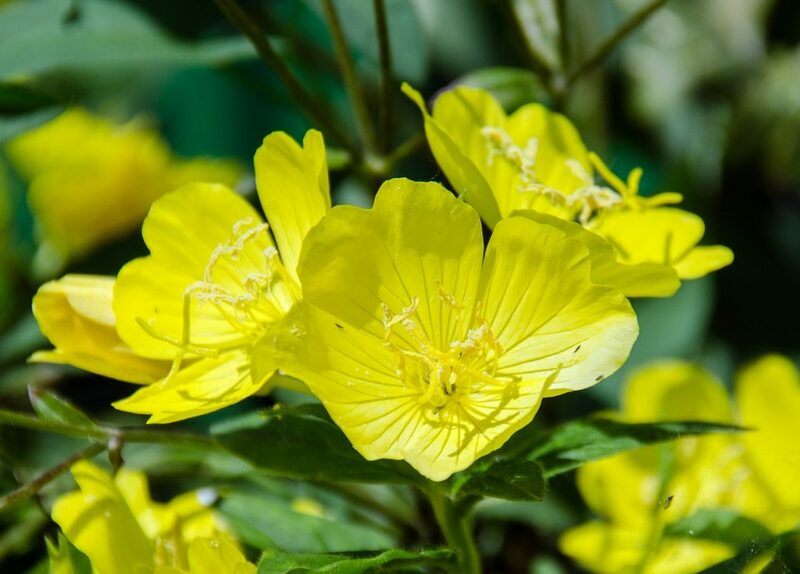 The GLA essential fatty acid in evening primrose oil helps immensely with hair, skin, and nail health. Tying into the hormone health benefits, evening primrose oil can really help if you struggle with cystic acne during that time of the month. I’ve always struggled with this, and even despite having a strict skincare regimen, I still sometimes experience it. Taking the capsules, and using one to two drops on your face nightly, will greatly help reduce the risk of experiencing cystic acne. The fatty acids will also help manage rosacea due to their anti-inflammatory properties. Lastly, evening primrose oil will help with hair growth and strength. I just recently had about 4 inches cut so that I could pave the way for new growth, taking the evening primrose oil will def help my hair to continue to grow long and healthy. When shopping for an EPO make sure you choose a non-GMO, cold pressed, capsule or oil. 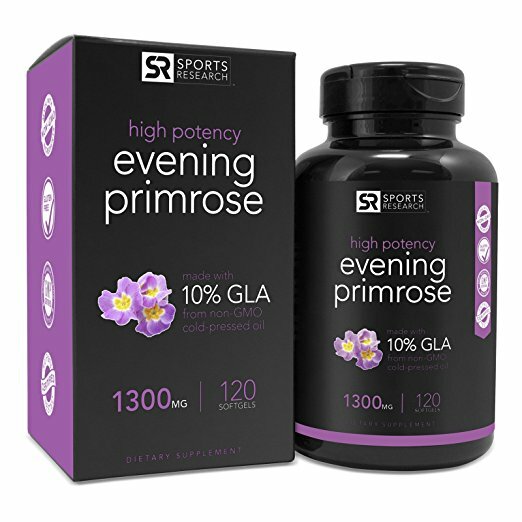 I use the Sports Research Evening Primrose Oil, and take two capsules every morning. Sports Research is a great brand, if you’re looking to add more supplements to your routine, check them out. Which supplements do you take for health & beauty? Let me know in the comments, or Tweet me, @elizabethmayce ! !